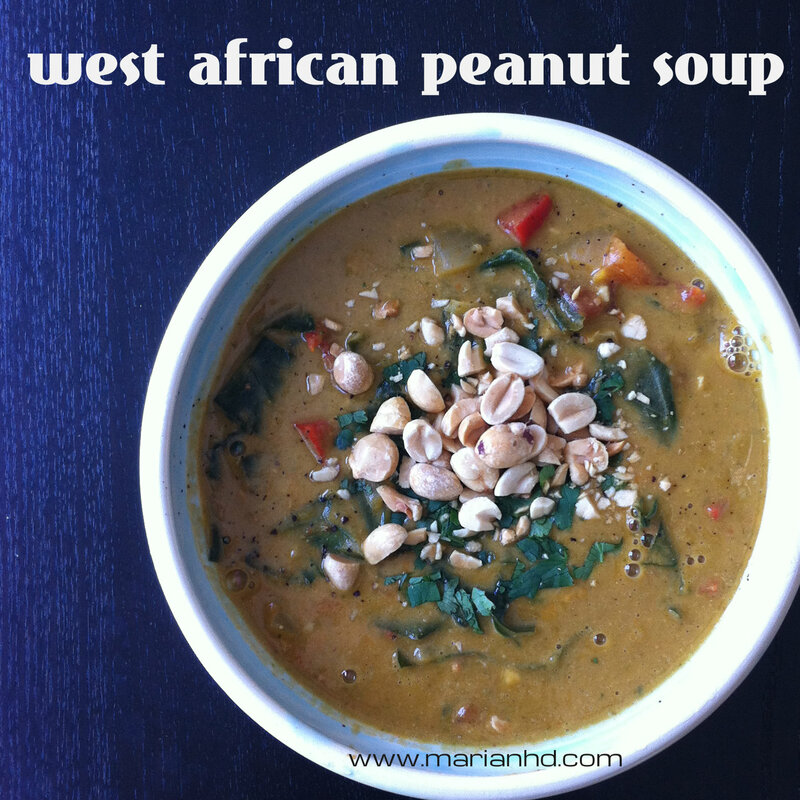 For some reason, the universe has been conspiring for me to try an African peanut soup lately. Different recipes keep popping up in different places. In my new Oh She Glows cookbook. On Cookie and Kate’s website. So I gave in and put it on my list to try. After a weird week where the husband and I never had dinner together (!) I finally made this soup for myself for lunch one day. I attempted to get some expert input from my returned Peace Corps Volunteer friend who has spent years in Senegal. I know she cooked some kind of Senegalese dish that involved peanut butter, but I couldn’t remember it. She is unfortunately pretty busy saving the world millions at a time (massive kudos if you know where that line comes from), so I took a stab at some degree of authenticity myself. Totally unqualified, by the way. Recipes for the stew vary wildly, but commonly include chicken, tomato, onion, garlic, cabbage, and leaf or root vegetables. In the coastal regions of Senegal, maafe is frequently made with fish. Other versions include okra, corn, carrots, cinnamon, hot peppers, paprika, black pepper, turmeric, and other spices. So….basically anything could legitimately end up in this soup. 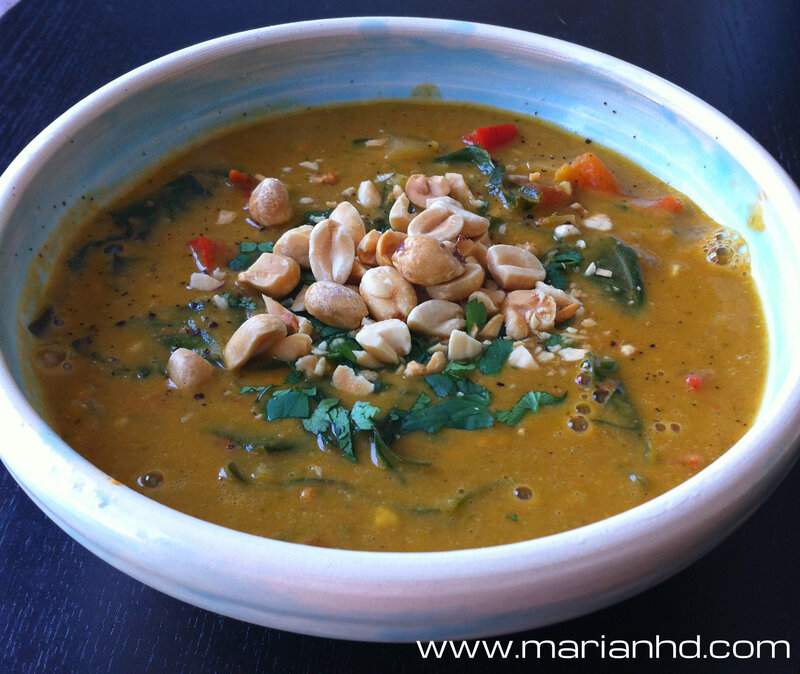 The result is a soup that defies the logic that says tomatoes, peanut butter, and collards shouldn’t be on the same table much less in the same soup. 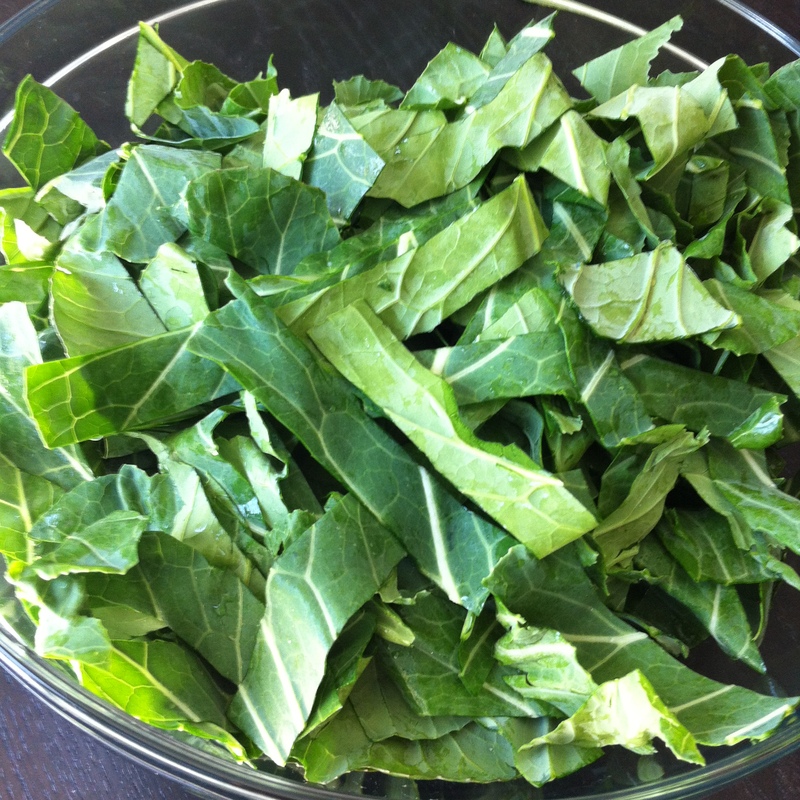 The husband enjoyed it, commenting that the collards were his favorite part! 1. Peel and dice the sweet potato. You could easily use more sweet potato for a heartier soup, I just only had one on hand. Heat the sesame oil in a large stock pot over medium heat. 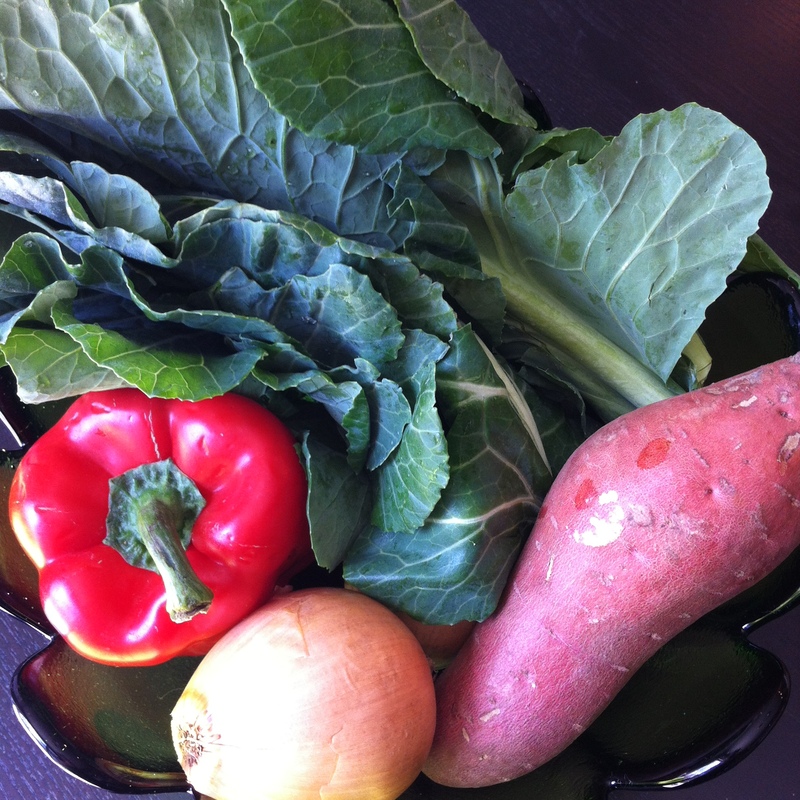 Add the sweet potatoes and reduce the heat a bit, letting the sweet potatoes saute while you prepare the next step. 2. Chop your onion, bell pepper, and garlic, and grate your ginger (I cheat and mince a ton of ginger at a time in a mini food processor and then keep it in the freezer to use as I need). 3. 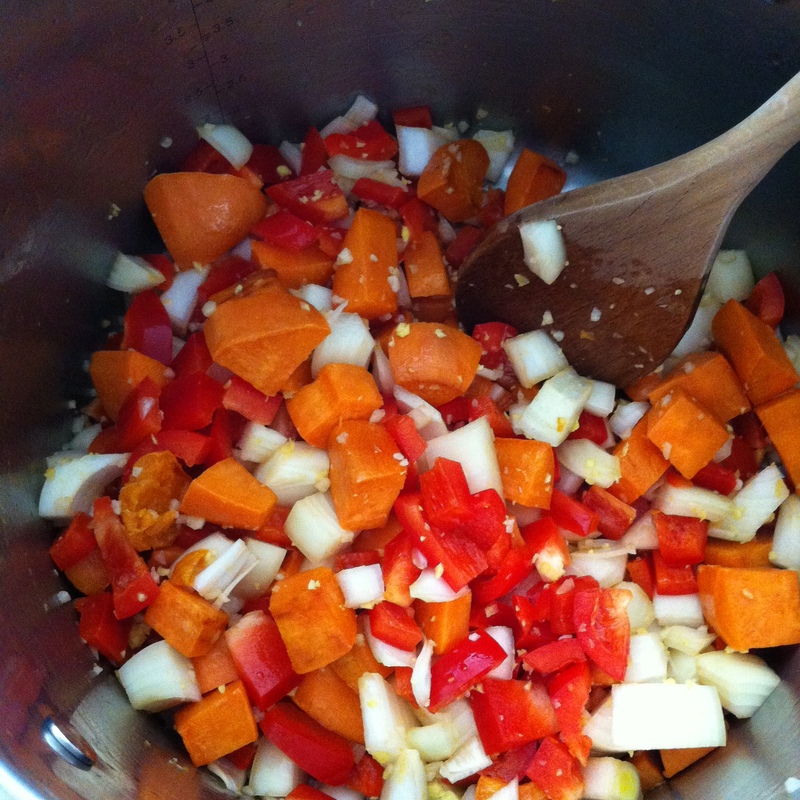 Stir the onion, pepper, garlic, ginger, and cayenne into the pot and let that all cook for about 15 minutes. Then add the vegetable stock and the can of diced tomatoes. Bring it to a simmer and cook for 15 more minutes. 4. While that’s simmering, mix the peanut butter with the water to create a paste. Wash your greens, cut out the thick stems, and cut the greens into 1 inch wide strips. Add the peanut butter paste and the collards to the soup and cook for 10 more minutes. 5. After those 10 minutes, you may ladle 2 cups of the soup into a blender and puree them or use an immersion blender to blend some of the soup for a thicker, creamier texture. OR you can cook for five more minutes and serve it as is. Season with salt and pepper and top with cilantro and chopped peanuts before serving, if desired.